The hottest summer on record is comming to an end. Late Summer and early Fall is a Great time to install a Lawn Sprinkler System. 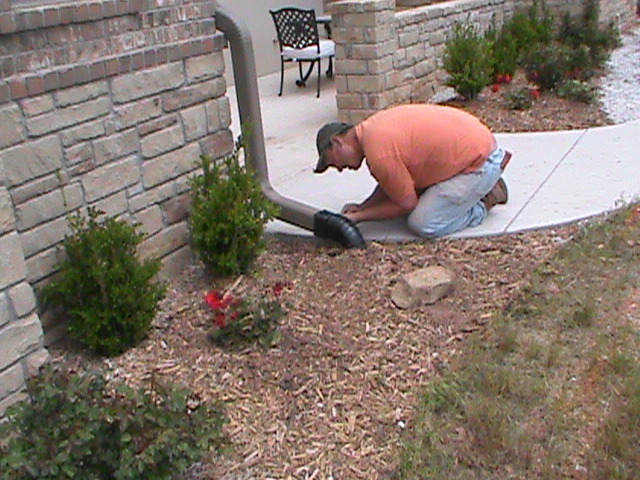 CMG Installs Sprinkler Systemsthat are DEPENDABLE, DURABLE AND EASY TO USE! If your yard is dry and dead a Lawn Sprinkler SystemCan jump-start your lawn for the fall growing season. Our Sprinkler Systems are fully automatic and self-draining. This is important because CMG Designed Sprinkler Systems are easy to use and the Sprinkler Pipes will never freeze in the Winter. No Winterization is required. Owning and operating a Sprinkler Systemcan save many hours of dragging hoses around. Sprinkler Systems also can save water because they water more efficiently. I know I have left a manual Sprinkler running too long in one spot, making a muddy mess in one spot while the rest of the yard didn’t get enough water. Sprinkler Systems need maintenance and repair from time to time. CMG can help! CMG can help with these and any otherSprinkler Problems. CMG also installsNew Lawn Sprinkler Systems. We use “Hunter and Rain Bird” Sprinkler Parts unless our customers prefer another brand. CMG Sprinklers and Drains installs Rain/Freeze Sensors on new and existing Sprinkler Systems. Rain/Freeze Sensors turn off your Sprinkler System if you are away from home and it gets too cold or starts to rain. 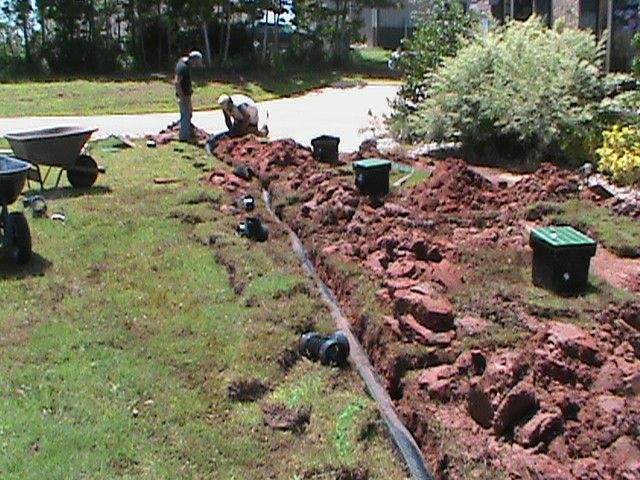 CMG Installs Drainage Systems for home or business. If your back yard turns into a lake after a thunderstorm, or if your sidewalk turns into a moat during a hard rain, give CMG a call. We can design a Drainage Systemto fit your specific needs. CMG utilizes: Surface Drains, French Drains, Channel Drains, Basin Drains, Trench Drains, Basement Drains, and Sump Pumps. Servicing: Oklahoma City, Norman, Midwest City, Del City, Moore, Edmond, Yukon, Mustang, Purcell, and Newcastle.